Undying — So Much Monsters! The bracer is now its own slot separate from the armor. The armor slot now includes the belt. To support cloth simulation and animation layering, Flesh Golems can only use Valve's default skeleton, joint positions and animations. There is no option to create custom animations or skeletons. Golem cast and attack animations may not play correctly in-game through the workshop tool but you will be able to preview more animations in the Preview Model page using the animation drop-down list. If you chose to skin your mesh to Valve's cloth joints, you won't see cloth simulation in the workshop tool. Valve will add cloth and full in-game animations if the item ships. If your Golem model displays skulls, excessive blood, exposed bones or entrails, you may need to submit a separate, low-violence version. 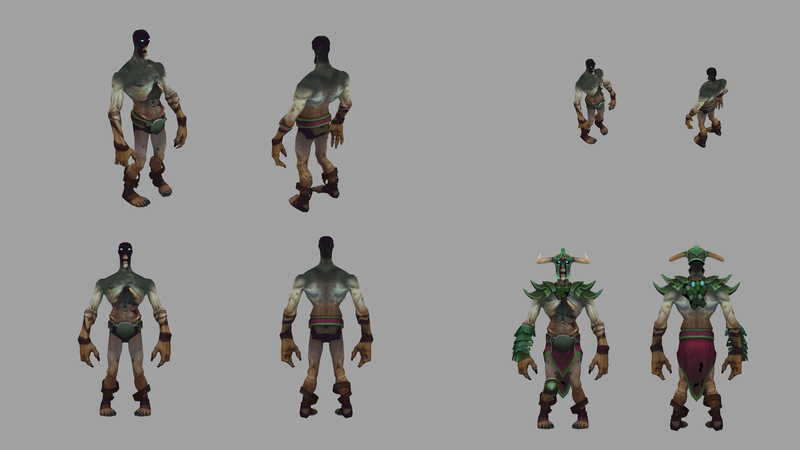 The default low-violence Golem model is included in the Undying workshop .zip file for your reference. This ability model has a bone limit exception to use 62 bones to match Valve's default Golem skeleton.